This glorious bounty is coming out of our garden about twice a week. I am officially in love with August. The Sweet 100s cherry tomatoes are truly nature’s candy. 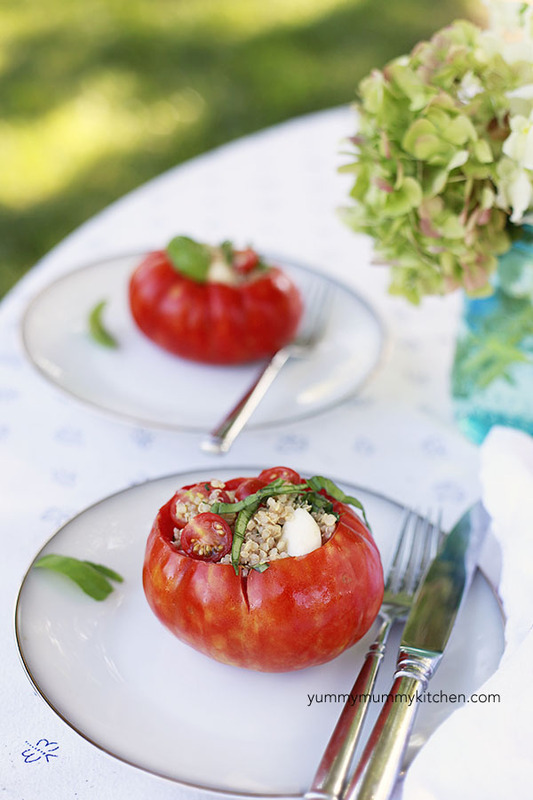 Of course you don’t need to stuff this caprese quinoa into anything. It’s just as tasty scooped right from the bowl. And would be so perfect for a picnic. But in the heirloom tomato bowls? This recipe is just extra wonderful. Make it before the end of August. For friends, or just for yourself. My husband who doesn’t usually love quinoa, LOVED this one. 1. 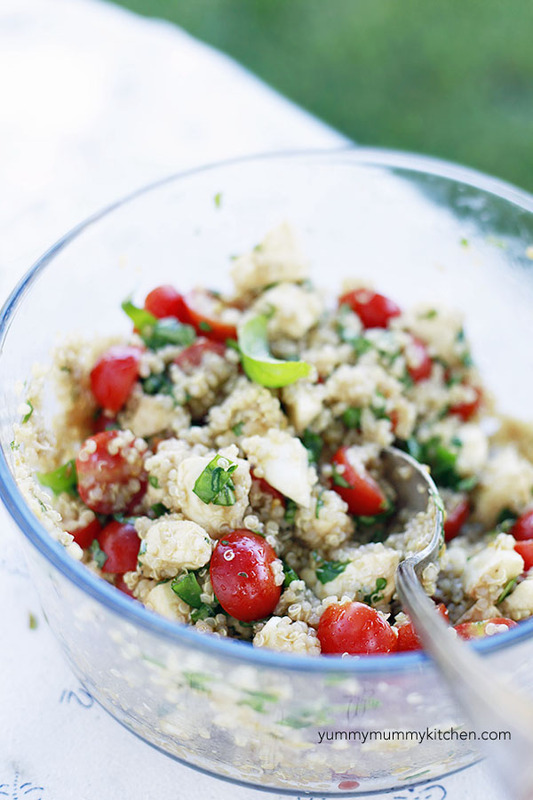 Place quinoa, mozzarella cubes, basil, and cherry tomato halves in a medium sized bowl. Toss to combine. Drizzle olive oil and vinegar over the top and toss again to coat. Season to taste with salt and pepper. Add more oil or vinegar to taste as well. I like things with lots of vinegar, so I added a bit more. 2. Using a paring knife, cut the tops of the tomatoes off by angling the knife toward the center of tomato, just like you would take the top off a pumpkin. 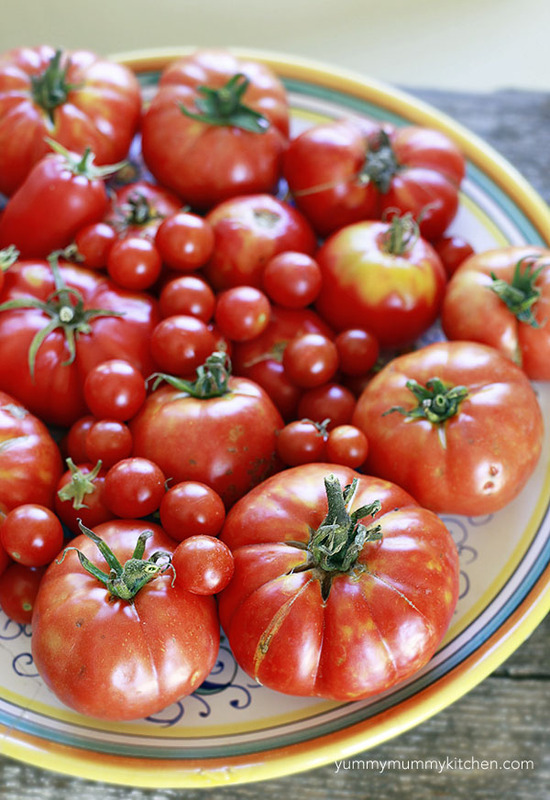 Hollow out the centers of the tomatoes by scooping the seeds and some flesh out with a spoon. 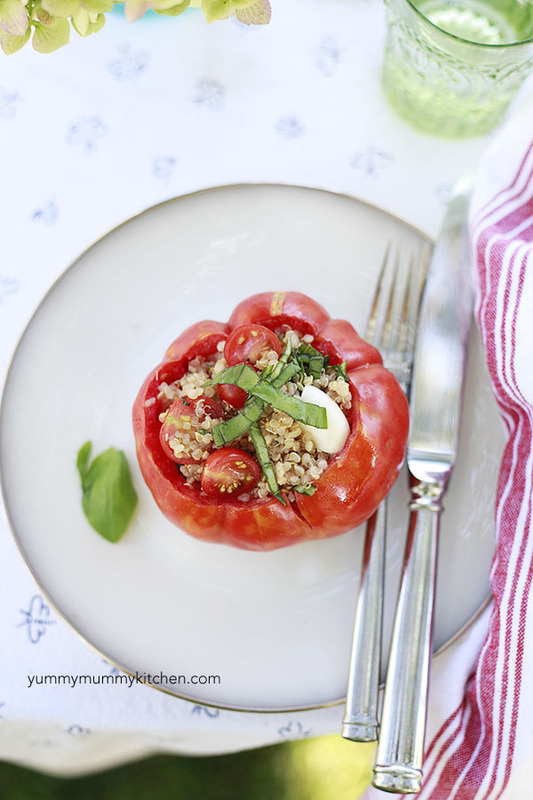 Chop any good tomato flesh and add it to the quinoa bowl – I hate to waste any wonderful tomato. 3. 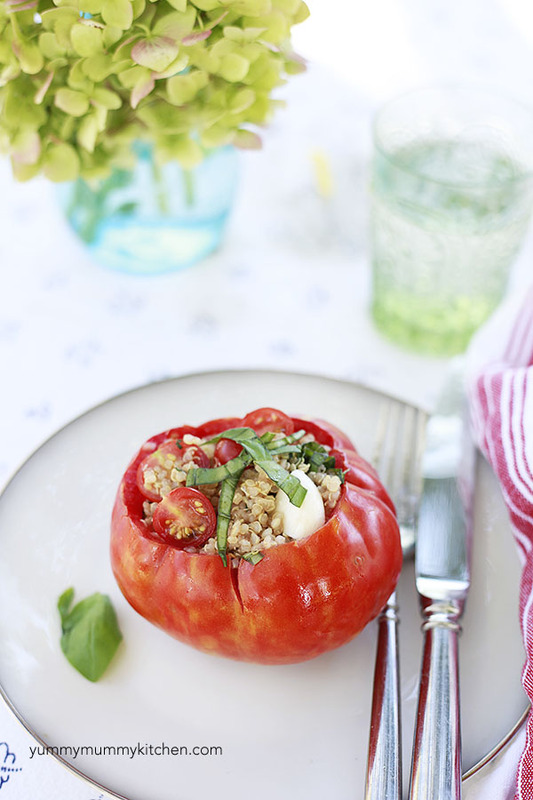 Fill the hollow tomatoes with the quinoa mixture. Serve immediately or cover with plastic wrap until ready to eat! *Vegan Option: Just omit the cheese. It will still be delicious.